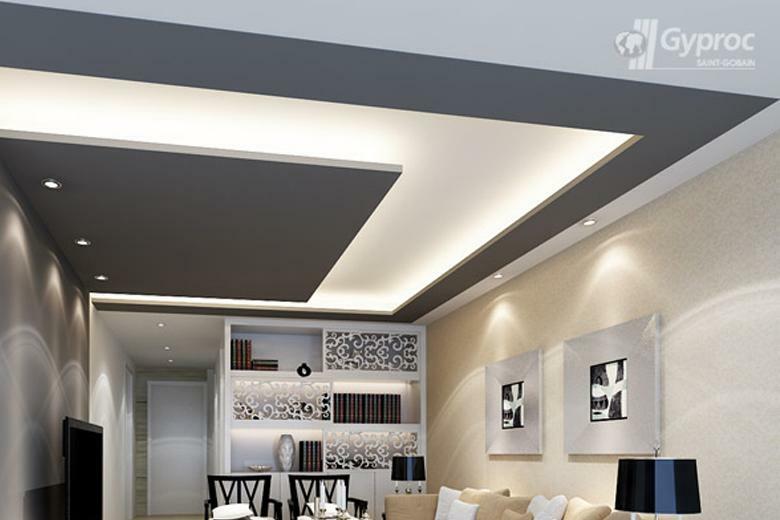 When you need to light up a room without actually seeing the light, what you need is to build a Gyproc false ceiling and install recessed lights. 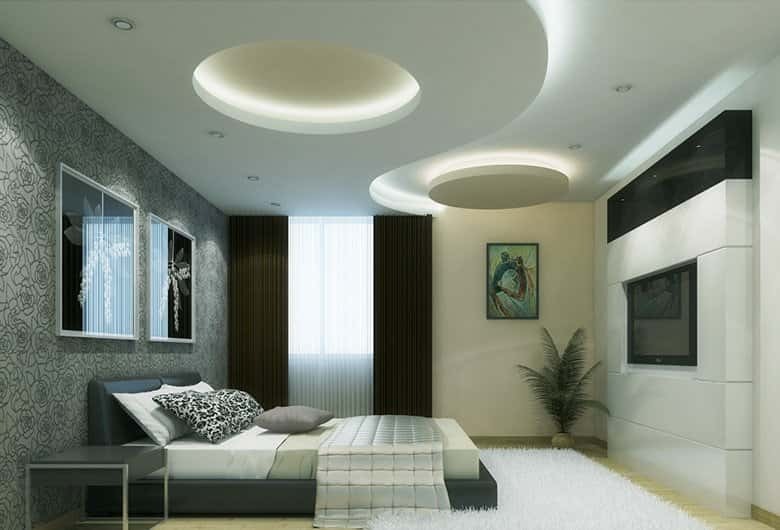 As the name suggests, recessed lights are those which are built into the false ceiling of a room. 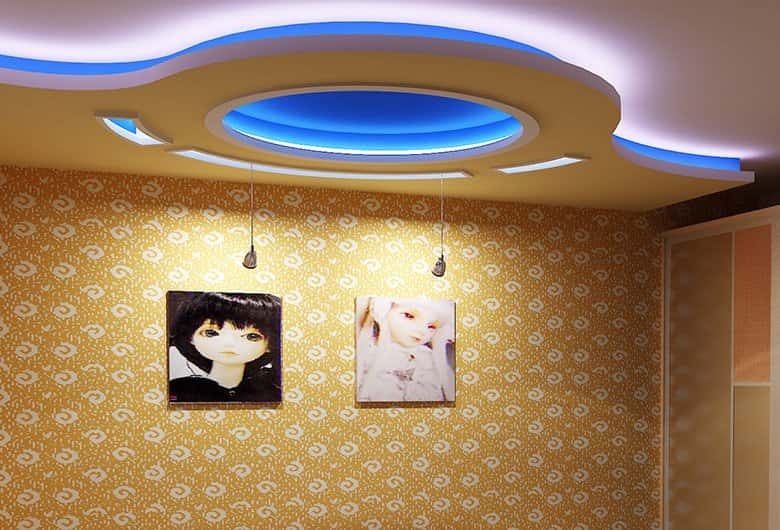 Recessed lights can provide both direct and indirect lighting depending on how it is installed. 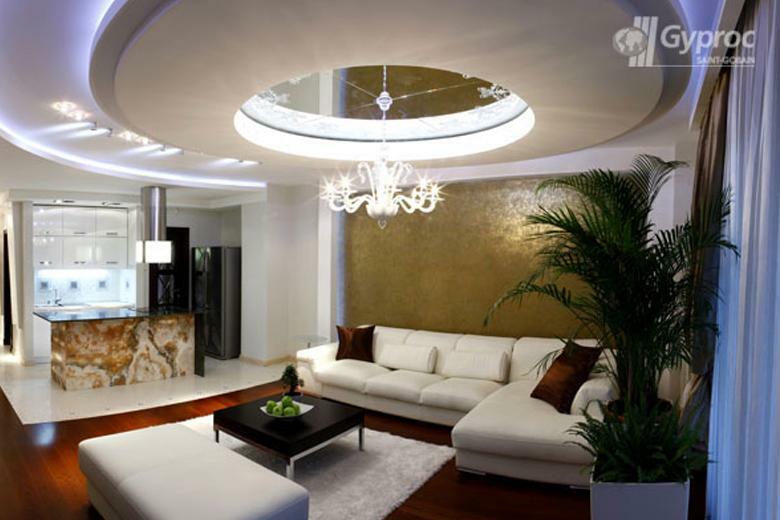 Recessed lights are ideal for low ceiling areas. 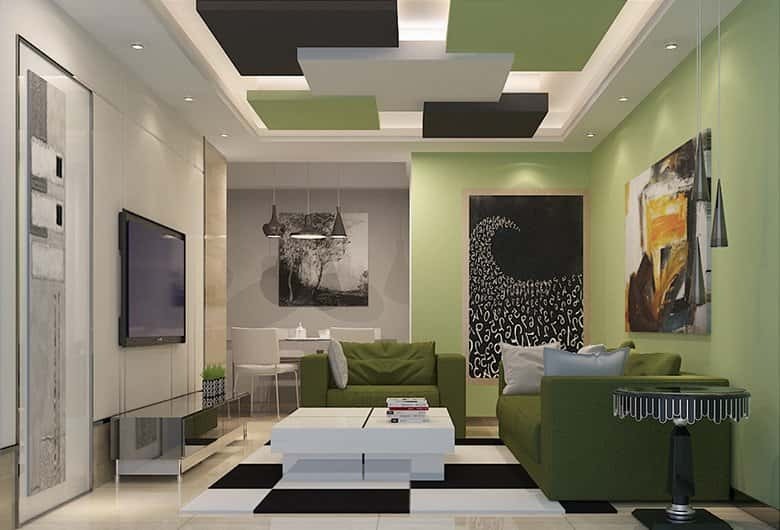 Standard recessed lights are the best bet when you have a compact room with a low ceiling and you need light without seeing the light source. These lights are usually arranged in a grid pattern or are used in combination with a central suspended light or with cove lights. Most hotel rooms today favour these as ceiling lights on their Gyproc false ceilings. 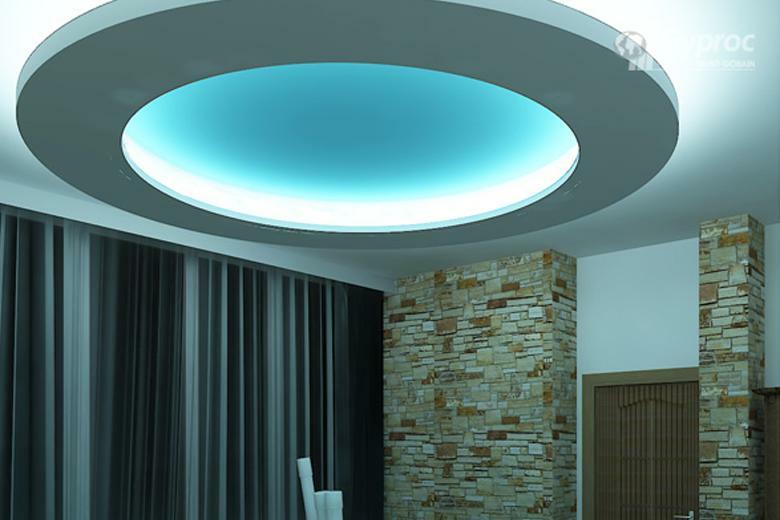 What standard recessed lights are to residences, troffers are to offices and labs. 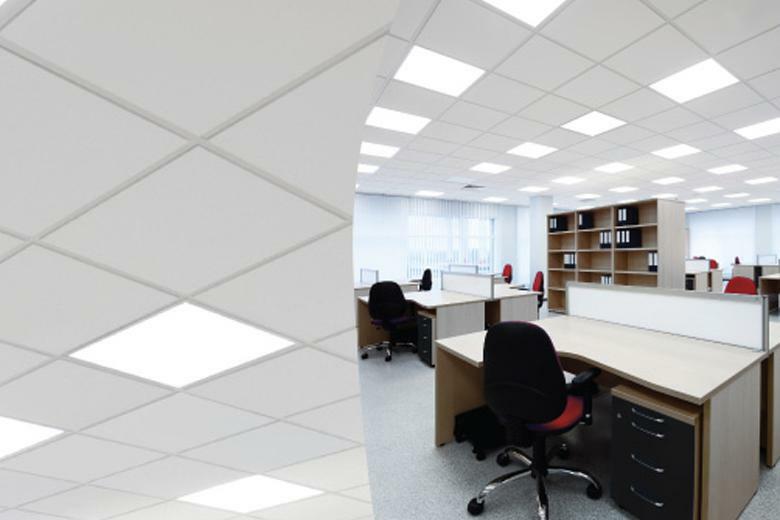 Troffers are rectangular light fixtures that fit into a modular dropped ceiling grid such as the Gyproc grid ceiling system. These are designed to accommodate standard fluorescent tube lights or even LED lights. 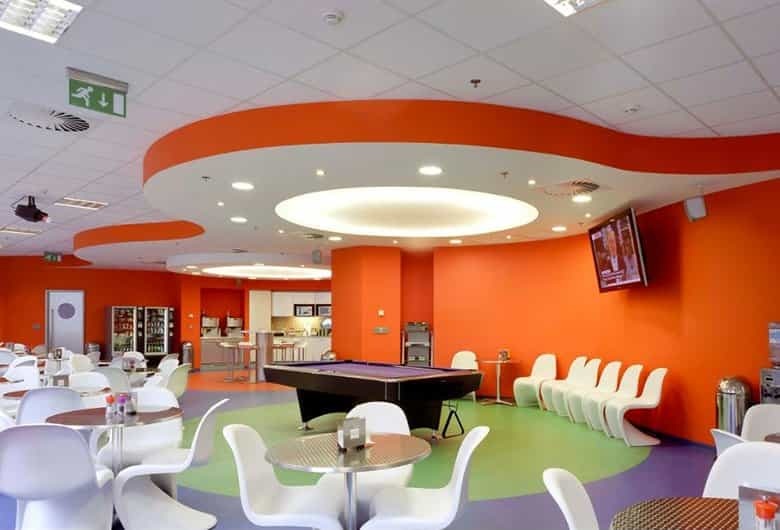 Standard recessed lights provide direct lighting uniformly in all directions. 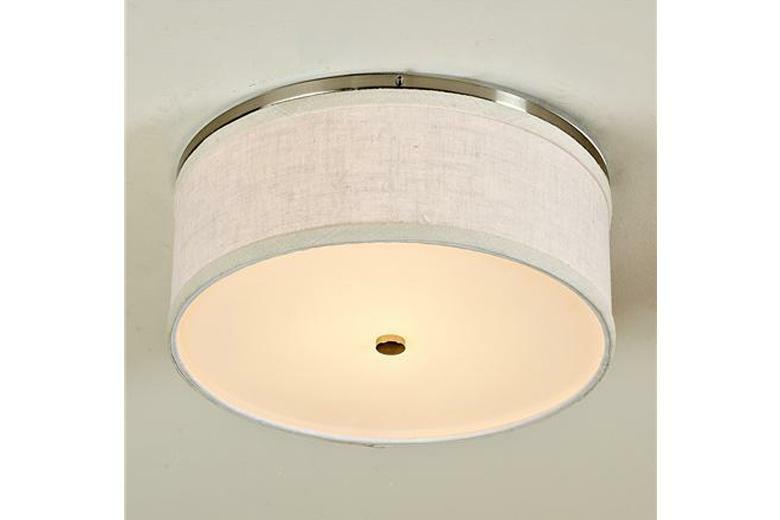 Gimbals are recessed spot lights that can be adjusted to focus on a particular area. Gimbals are more suited to task lighting in areas like kitchens or as focus lights over paintings than as ambient lights. Cove lighting is ideal when you need to give a room just a warm glow or you need to emphasize on a division created by a dropped ceiling. 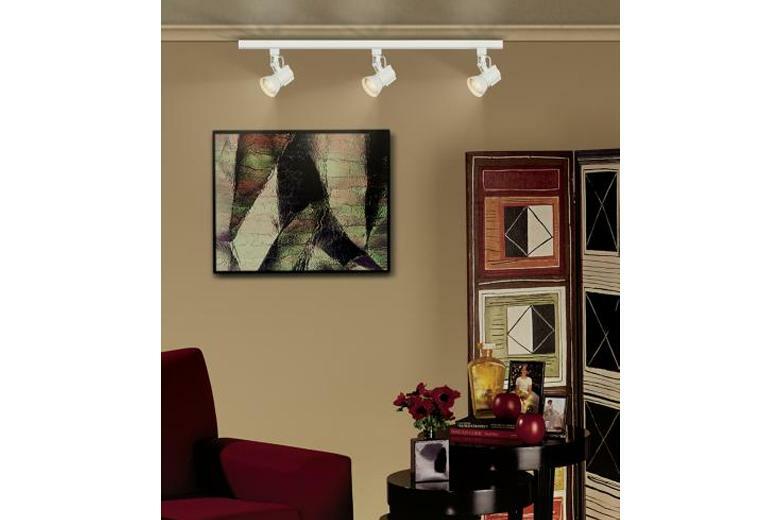 The light source is installed in a coffered light recess such that it is out of sight from all angles. The light is directed upwards and, when bounced off the ceiling, gives the room a soft warm glow. Alternatively rope lights are installed in the coffered recess such that it illuminates the edges of the dropped ceiling. Flush lights range from the simple to the very ornate and can be matched to varying interior styles. Flush lights are suited to rooms with a maximum height of 10 feet. 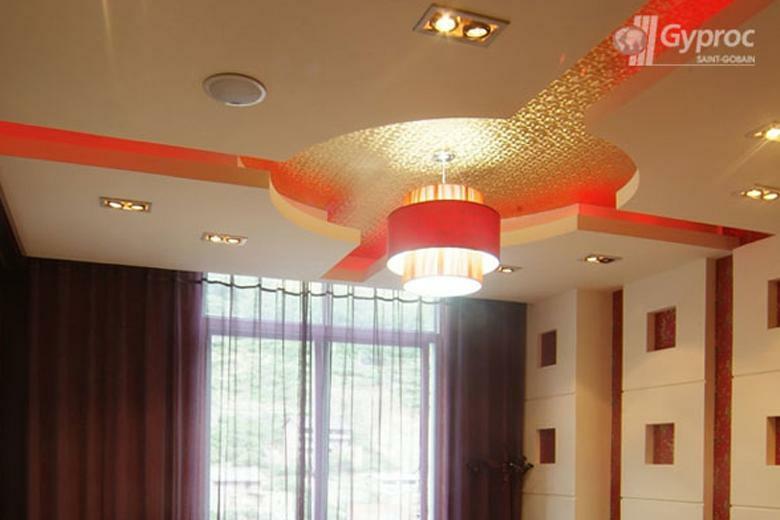 These fixtures are quite lightweight and hence work well in rooms with a false ceiling. 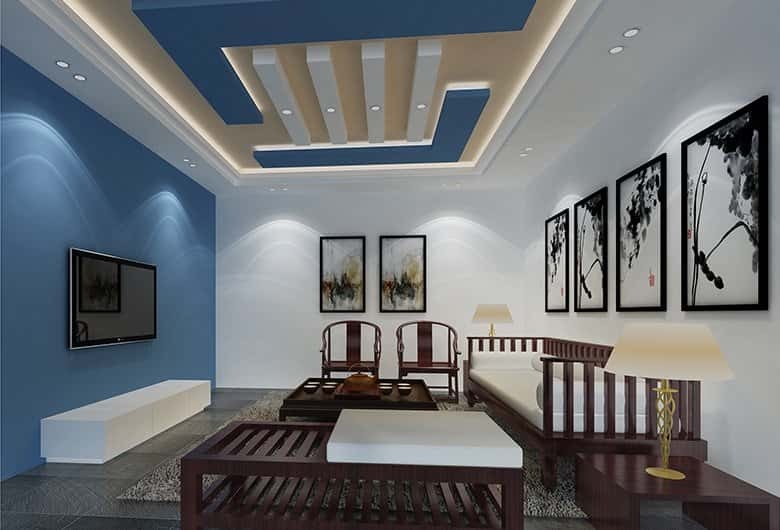 Not only does a false ceiling lower the ceiling height in high ceiling rooms, it also keeps all wiring out of sight. Full flush fixtures are those where there is no gap between the ceiling and the fixture. 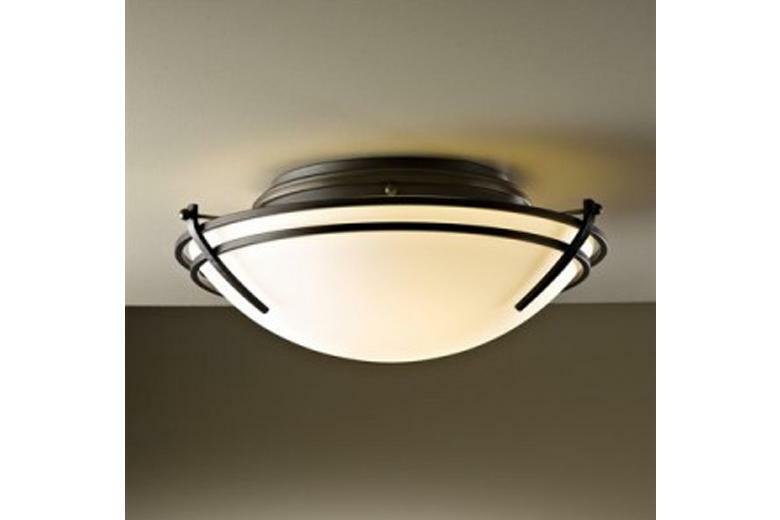 Flush light fixtures vary from the simple and unobtrusive to more ornate designs. Full flush fixtures are ideal for rooms with a ceiling height of 8 feet or less. Ceiling fixtures that have a slight gap upto a maximum of a few inches between the ceiling and the fixture are called semi flush fixtures. These fixtures provide both direct and indirect light. The proportion of direct to indirect lighting depends on the style of the fixture. Lights which hang down for more than a few inches are called suspended lights. These lights are ideal for rooms with high ceilings. 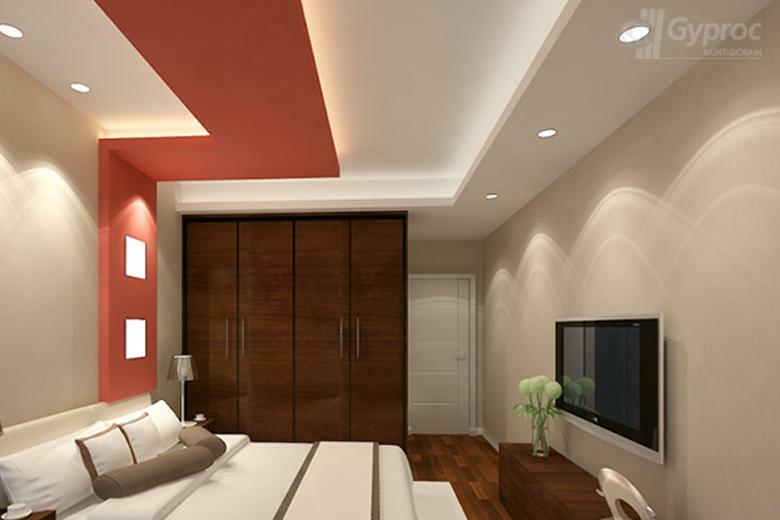 However, suspended lights have also been used as corner table lamps or bedside lamps. Chandeliers are the most well-known of suspended lights. Chandeliers vary in size, style and the number of bulbs they hold. Chandeliers are ideally placed as singular features in a room though when using smaller chandeliers, you could place two in the same room. 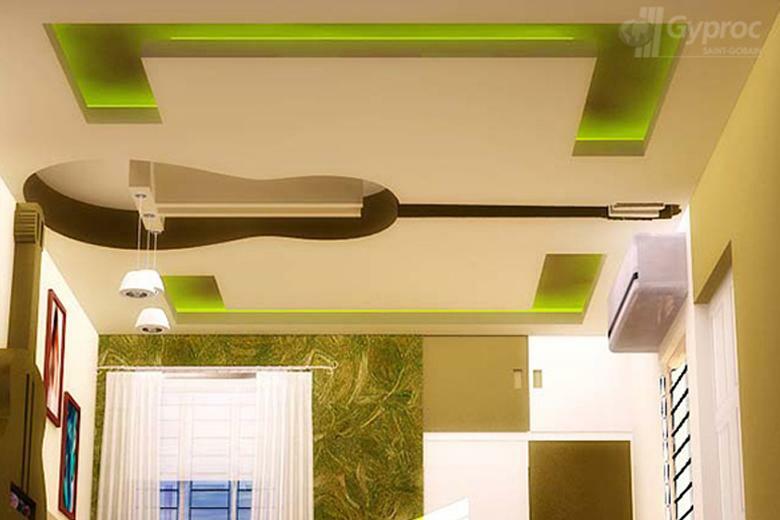 Chandeliers are known to be heavy and hence if you are using them on a false ceiling ensure to suspend them not from the gypsum board but from the ceiling beams. Island lights are also similar to chandeliers but where chandeliers are usually radial in nature, island lights are linear in form. These are most commonly used above dining tables and kitchen islands. Track lights can be easily understood as a series of spot lights arranged on a linear track. Each of these lights can be adjusted to varying angles so as to focus on multiple points simultaneously. 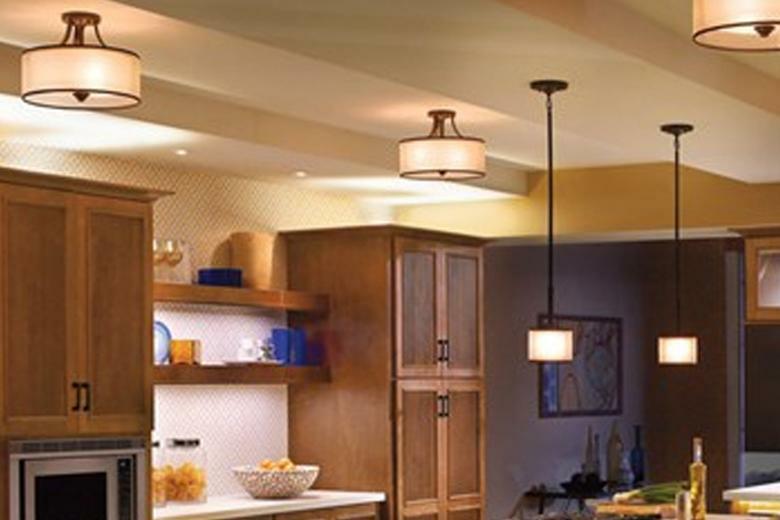 Track lights are ideal for kitchens and gallery spaces.